July has set in this weekend and it’s packed with interesting events. A checklist would be really handy to navigate the month. Here’s our list of must-attend events. The king of Bolly music is coming to town on July 4. We’ve swooned to his songs from yesteryears and to his new ones (like Has Mat Pagli or Badhiya). Buy your tickets before they run out. Check here for more info. Tata Steel Kolkata Literary Meet’s new play Gauhar is coming to Kolkata and you can’t afford to miss it. 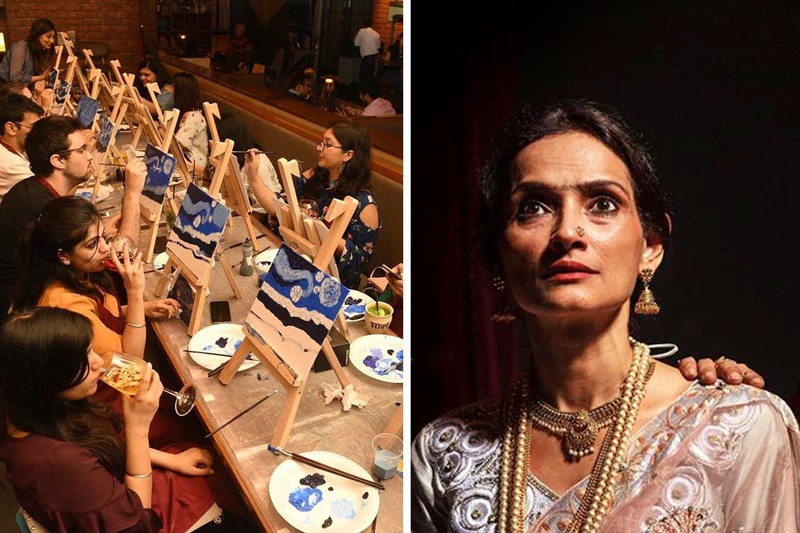 Retelling the story of Gauhar Jaan, one of India’s first mass media superstars at the turn of the last century, this one will have popular thespian Rajeshwari Sachdev in the stellar role. Check here for more deets. Walter Benjamin had talked of the importance and the steady decline of the art of storytelling. If you value and appreciate this art, then here’s your chance to ace the form. Organised by Culture Monks, the workshop is for everyone and will be conducted by Janardan Ghosh & Pradip Chatterjee. Check here for more info. Chanda from one of our fav joint Chanda’s Khaukswey is back with a lipsmacking spread of authentic Burmese food, only this time it’s a pop-up lunch in association with Karma Kettle. If you’re a foodie, then save July 8 on your calendar. Check here for more details. Get your fill of experimental theatre with theatre groups Hypokrite and Sarangsho’s evening of plays on July 8. Three experimental plays (Picnic In The Battlefield, Shakespeare For Sale and 16 Paata) will be showcased. For more details check here. Mid-month comic relief is essential to blow off steam. Fitting the bill is the Circle Series Comedy Festival with star comedians Raj Bagaria and Ritabrata Dass. Check here for more info. Inspired by the Impressionists and secretly consider Monet as your inspired master? ArtRoom’s workshop at Monkey Bar on July 14 is the thing for you. With easels, canvas, step-by-step instructions and unlimited signature cocktails, it’s sure to make a fun art class. Check here for registration details. Street photography your mojo and looking to pick up some tips on it? Register for this workshop on July 14 at the Scottish Church Collegiate School. Conducted by the Photography Club of India, it’s for all aspiring photographers. Check here for more deets. Here’s another play that you musn’t miss. Based on the translation of the French play ART by Yasmina Reza, Kolkata Praxis will enact this one at Gyan Mancha on July 19. Check here for more info. There’s always enough reason to celebrate the bard in Kolkata especially with the onset of the monsoon and grey skies. Join popular Rabindrasangeet singers Rezwana Choudhury Bannya, Maitreyee, Ritapa Bhattacharya and Priyam Mukherjee to celebrate the bard with songs of brishti. For tickets check here.